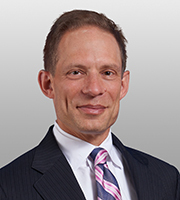 Peter Lichtenbaum advises clients on a broad array of international regulatory compliance and trade matters, including export controls, economic sanctions, national security reviews of foreign investments, anti-corruption laws, market access, and international trade disputes. He has specialized experience in the aerospace and defense industries. Mr. Lichtenbaum co-chairs the firm’s Aerospace and Defense Industry Group, and leads the firm’s Compliance Initiative. Mr. Lichtenbaum has recently helped several companies establish, review or enhance their compliance programs. He has worked with many leading aerospace and defense companies on internal investigations and disclosures related to trade controls and China. He also advises many of these companies on export control reform and defense trade policy issues, including international agreements on the regulation of defense trade. He has extensive experience with the trade controls issues that arise in the U.S. system for national security review of foreign investment, helping companies to identify issues and mitigate government concerns. Mr. Lichtenbaum served as Vice President for Regulatory Compliance and International Policy at BAE Systems, Inc., the U.S. subsidiary of one of the world’s largest defense contractors. He was responsible for a broad array of regulatory compliance and policy issues. He participated in BAE Systems’ development of innovative standards of internal governance in order for the company to be recognized as a global leader in ethical business conduct. Previously, Mr. Lichtenbaum held senior positions in the Department of Commerce, one of three key agencies responsible for administering US trade controls. From October 2003 through February 2006, he served as the Assistant Secretary of Commerce for Export Administration, responsible for developing Bureau of Industry and Security (BIS) policies regarding export controls imposed for national security, foreign policy, nonproliferation, and other reasons. Mr. Lichtenbaum chaired the inter-agency Advisory Committee on Export Policy, and managed BIS’s participation in multilateral export control regimes. He represented the Department of Commerce in many sensitive matters reviewed by the Committee on Foreign Investment in the United States (CFIUS). Mr. Lichtenbaum served for several months as Acting Under Secretary of Commerce for Industry and Security and as Acting Deputy Under Secretary of Commerce for International Trade. Mr. Lichtenbaum has also managed the development and defense of several major WTO dispute settlement cases, in which he worked closely with the Office of the U.S. Trade Representative and other governments. He advised major companies regarding WTO trade policy matters. He also has significant experience handling a wide variety of countervailing duty and other subsidy matters.